Not too long ago, I was contacted by the lovely people over at Pevonia and was asked if I were interested in trying out some of their skin care products. I was instantly intrigued because I have been on the hunt for new skin care products and I loved that their products are all natural and made from botanical ingredients. They also offer a wide variety of lines for all sorts of skin concerns, which is great! Here's a little about the company: Pevonia was the first company to develop a Spa Skincare Line exclusively for elite spas and Professional aestheticians. Their products launched in 1991 and recognized that the safest and most effective skincare ingredients are found in nature. Pevonia is also the global leader in skin rejuvenation and health. Before receiving any products, I took a skin care questionnaire that was evaluated by a licensed esthetician and she then hand-picked the products that would work best for my skin and it's concerns. Based on my skin evaluation, she recommended their Phyto-Gel Cleanser, Combination Skin Lotion, Intensifier - Collagen & Myoxy Caviar, Evolutive Eye Cream, Mattifying Oily Skin Cream and Blemish-B-Gone and they are to be used in that order. My Thoughts: The Phyto-Gel Cleanser is one of Pevonia's best sellers and I can see why! 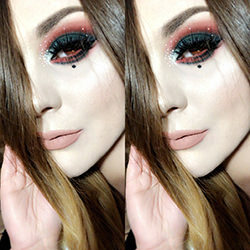 The first time I used it, I wasn't expecting it to remove all of my makeup, including waterproof mascara but it did, and with little effort, too! I hate having to rub my eyes more than I need to to remove eye makeup and this cleanser does all the work for you. It lathers up nicely and you don't need very much, just a pump or two will do. It removes impurities and is sulfate-free too, which is great! The only thing I'm not too fond of is the smell of this product. It reminds me a bit of men's cologne and is a little strong, but the smell doesn't linger on my skin which is nice. My face feels clean and super soft after I use it. My Thoughts: This product is more of like a toner to me than a lotion. It's a liquid and comes out of a spray bottle. It's smell is a sort of herbal and fresh and has a bit of a cooling effect on my skin. It makes my skin feel lovely, hydrated and balanced. I love that it removes whatever makeup and impurities that might have gotten left behind by the cleanser. For those who want to prevent or repair fine lines and wrinkles, and those with skin that feels tight, dry and dehydrated. My Thoughts: This stuff is INTENSE, but in a good way! The purpose of this product is to help diminish fine lines and smooth wrinkles. It is a unique bio-microemulsified gel rich in concentrated Marine Collagen Polypeptides, Caviar, and Hibiscus Esculentus Extract. Since I am in my late 20's, I am starting to notice the early signs of aging, especially around my eyes so I am really looking forward to seeing what my results will be in a few weeks. The product is a clear gel that is rich, yet thin enough to be absorbed by the skin quickly. My skin feels and looks amazing after using this. My Thoughts: I was most excited about trying this product because it is targeted for people my age that are showing the first signs of aging around the eyes, which is a concern of mine.The product is odorless and is very rich and creamy. It nourishes the delicate skin around my eyes without feeling sticky or heavy. I also like that it stays put and doesn't irritate my sensitive eyes. Control oil and shine, hydrate, refine pores, prevent breakouts, and protect skin with this lightweight, noncomedogenic moisturizer. For oily skin types or those who want a matte-look during the day. My Thoughts: This cream is awesome! I absolutely love everything about it. It smells divine (reminds me of clementines! ), and does what it's supposed to do. It moisturizes my skin while controlling oil at the same time. It visibly reduces shine and it doesn't interfere with my face makeup which is a huge deal for me. It's gentle and lightweight enough to use AM and PM. It absorbs quickly and it isn't greasy at all. I also like that this product comes with a little plastic spoon so I don't have to dip my fingers into the pot. It also has UV protection! Quickly heal blemishes with this effective, yet gentle, targeted acne spot treatment that kills bacteria, clears away pore-clogging dead skin, reduces redness and inflammation, soothes, and prevents scarring and dark spots. For teens or adults with acne and sensitivity who need a spot treatment to quickly combat breakouts. My Thoughts: I have tried many acne spot treatments in the past and they have all been really harsh on my skin. This one works well and it doesn't irritate my skin or dry it out which is great. I first tried this out on a huge, volcano zit that I had on my chest (sorry for the visual, haha) and within a day or two, it was noticeably smaller and much less irritated. I don't really care for the packaging much because I have to squeeze pretty hard for the product to come out, and sometimes a bit too much comes out. I do like the rubber applicator, though. It's gentle on irritated breakouts. So far, I am enjoying these products and I have had a pretty good experience with them. I like that they are super easy to use and don't take up too much time. I know some people don't bother taking care of their skin because they think it's time consuming. It takes me less than ten minutes a night to remove my makeup and apply all of the other products after. Ten minutes is definitely doable no matter how tired or busy I am and my skin will thank me later. The quality of these products is spectacular and I think they are definitely worth the higher price point. Not only are you getting professional quality products, but they are also made from natural ingredients. If I've learned anything about beauty, is that taking care of your skin is super important. Your skin is the largest organ of your body, so why not take good care of it? Skin care is a smart investment to make. If you want your skin to look radiant and youthful when you're older, you should take care of it now. It's harder to reverse aging than it is to prevent it. Preventative care is key! Of course, we cannot fight nature and gravity, but we can trick it and slow it down with products like these! I will have another blog post up in about 4-6 weeks with an update of my skin results! I'm excited about it because even though I've only been using these Pevonia products for about a week or two, I feel like my skin already looks better. It definitely feels like it does, at least! Also, I will be hosting a giveaway with Pevonia and giving away FIVE Pevonia sample kits, so stay tuned for that! 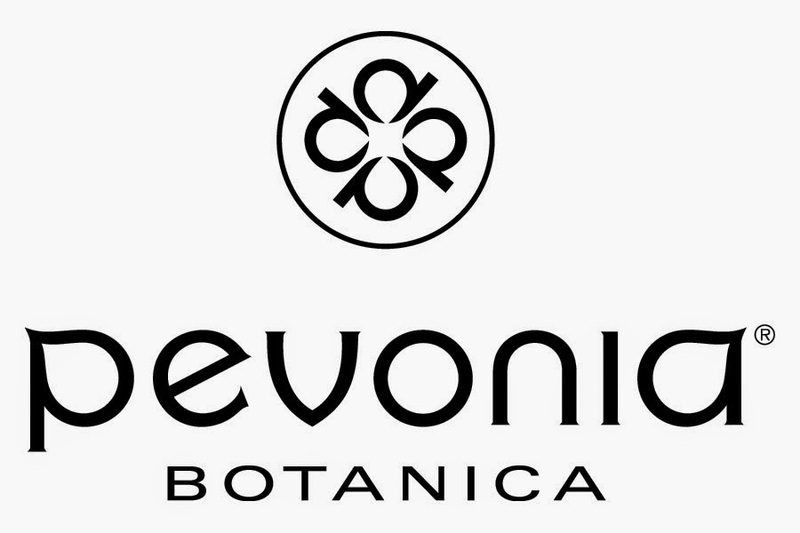 If you are interested in Pevonia, please do yourself (and your skin) a favor and check out their website and what they have to offer. They have all sorts of products for every skin type and concern out there. Visit www.pevonia.com and see for yourself! I hope you all enjoyed this blog post and that you're doing well! If you've tried Pevonia products before, please let me know what you think of them and what are your favorite products. Thanks and take care! This article is really good.Apple Ibeacon This has everything that I've wanted in a good article. Thank you loads for providing this wonderful article today. Keep it going.